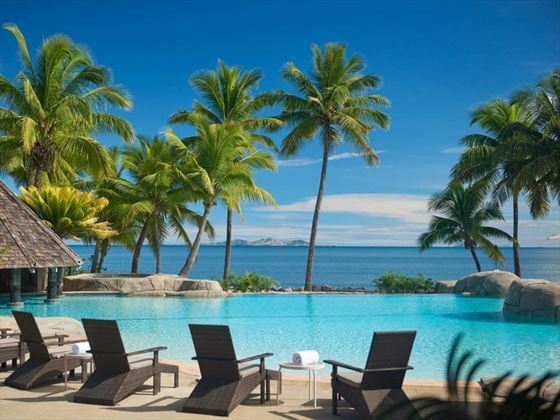 Travel to DoubleTree by Hilton Hotel Fiji – Sonaisali Island and you’ll be met with a warm, friendly Fijian welcome. 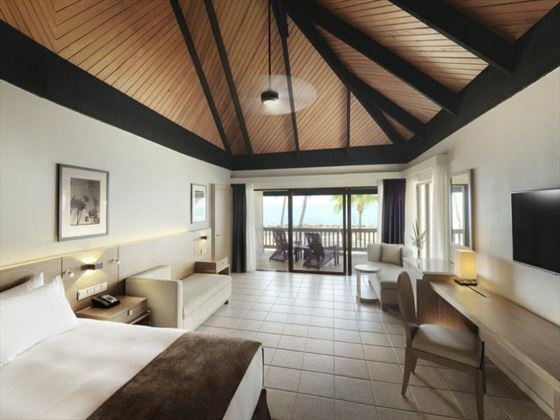 Formally known as Sonaisali Resort, this beautiful retreat will be opening its doors in July 2016. 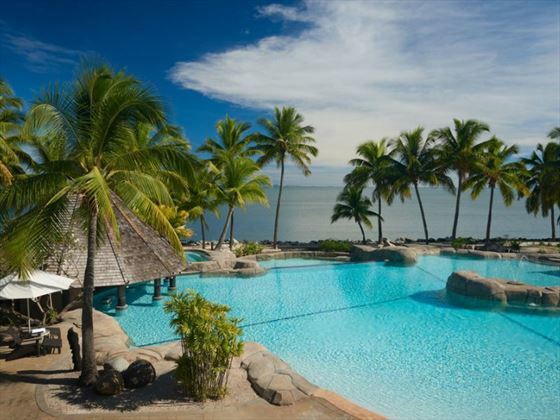 Nestled only a three minute boat ride from the main island of Viti Levu; this lovely beach-style hotel will offer a true insight into the relaxed island lifestyle. We love that the crystal clear Pacific Ocean can be seen at any part of the hotel, whether you’re relaxing on your private balcony, sipping cocktails by the pool, or tucking into delicious cuisine. There are two fantastic restaurants to choose from too, and all of the dishes are created with ingredients home-grown in the island’s rich volcanic soil. You’ll even receive the hotel’s signature warm chocolate chip cookie at check-in. 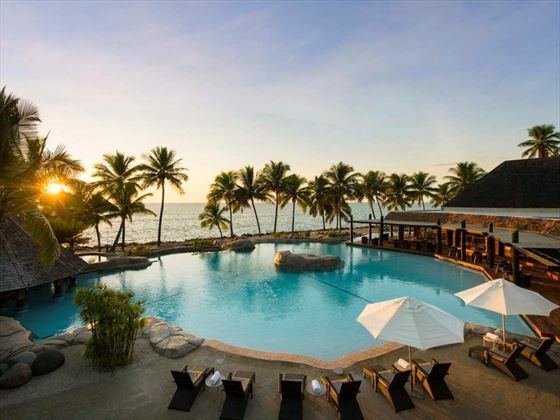 If you’re a couple looking for a slice of tropical paradise close by to authentic Fijian towns and gorgeous beaches, DoubleTree Resort by Hilton Fiji – Sonaisali Island is a great place to be. 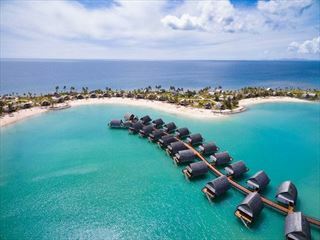 Nestled on Sonaisali Island, only a three minute boat ride from the main island of Viti Levu, this gorgeous resort is surrounded by the glistening South Pacific Ocean and luscious, tropical forest. 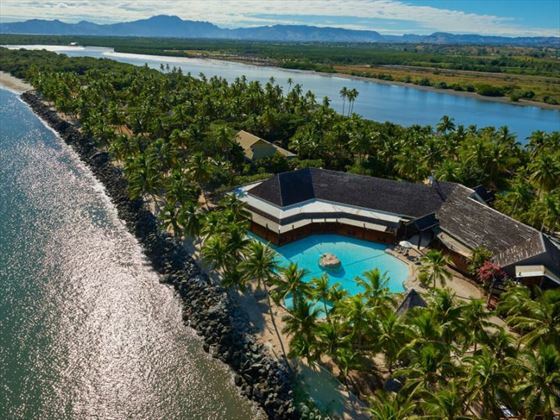 The secluded island offers a truly relaxed and rejuvenating ambience. 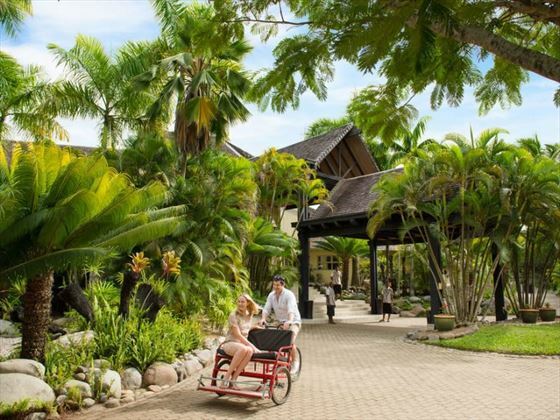 If you fancy a break from sunbathing by the pool and enjoying a cocktail, the bustle of Nadi’s vibrant markets are only a 25 minute drive away. 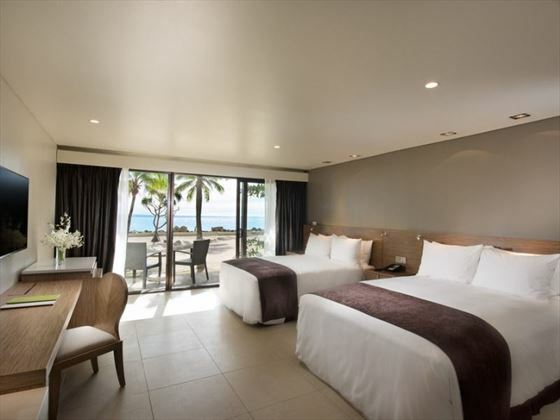 Beachfront Guest Room – Sleek 45sqm rooms, featuring a large balcony with 180 degree views of the ocean, and the beach right on your doorstep. Sleeps a maximum of two adults and two children. 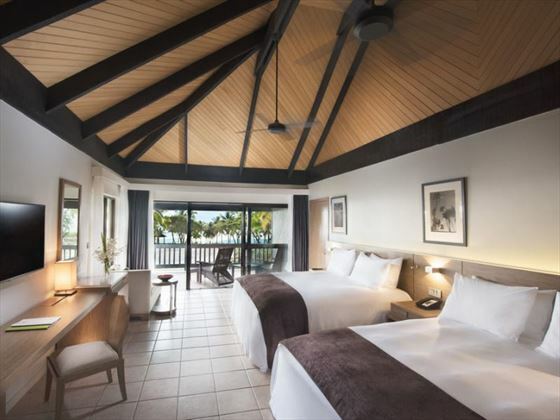 Ocean View Bure – Airy 46sqm private villas, featuring a furnished veranda, a bathroom with vanity lighting and a rain-shower head, and gorgeous garden and ocean views. Sleeps a maximum of two adults and two children. Lounge Bar – A cool cocktail lounge bar with uninterrupted views of the pool and ocean, offering delectable hand-crafted cocktails, wines, and beers. Open 12am to 11pm daily. 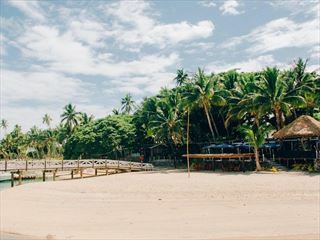 Tavu Bar and Grill – Nestled on the beach, right next to the swimming pool, this relaxed restaurant offers delicious BBQ style cuisine with homemade salads, salsas and condiments. Open 10am to 10pm daily. 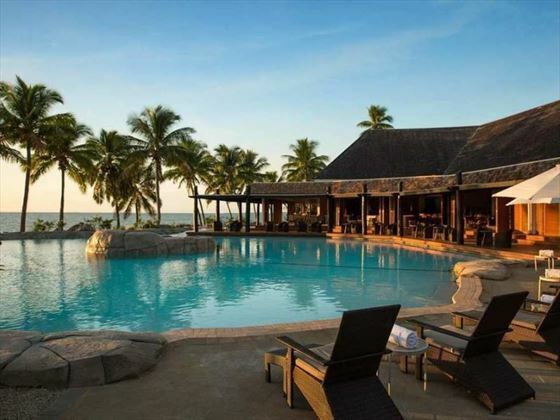 Vulani – Looking out onto the lagoon pool and ocean, offering a variety of different cuisines created with seasonal and local produce, either in a buffet style or from their fantastic a la carte menu. This chilled restaurant also holds theme nights and live entertainment. Open 6.30am to 10pm daily. 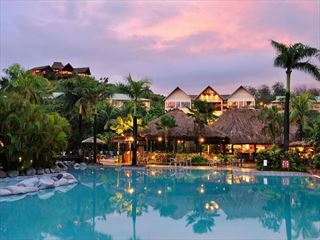 Activities, including horseback riding, paintballing, sightseeing tours, hiking trails (some additional charge). 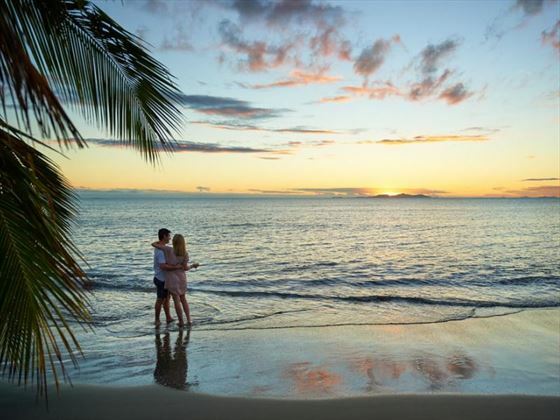 Watersports including fishing, scuba diving, surfing, stand up paddle boarding, jet ski safari, windsurfing, water skiing, yacht cruise (some additional charge).